The Institute of Certified Investment and Financial Analysts (ICIFA) held its 2nd Annual Conference in March 27th-29th, 2019 at Mombasa, Kenya, under the theme ‘Promoting a High Savings and Investment Culture in Kenya and the Region’. The conference brought together professional investment and financial analysts serving the financial services industry, which gave the participants a great opportunity to network with key stakeholders and experts in the financial markets from the region. The focus area for the conference was primarily to address the role of the investment professional in boosting the investment culture in Kenya as a key to economic growth. Professor Murinde presented a keynote speech on the topic ‘The Role of Savings and Investments in Promoting Economic Growth’. The presentation outlined the global trends in savings, investment, equity and bonds, and particularly shed light on the trends of savings, investment and economic growth in Africa. Professor Murinde highlighted the main barriers of doing business in Africa and recommended directions of boosting investment and economic growth respectively. Professor Murinde also used evidence gathered from field experiments (RCT) to explain the importance of tackling main constrains imposed upon investment, which include ‘low level of social capital and trust in financial institutions, regulatory barriers, barriers to opening account, and lack of financial literacy’. 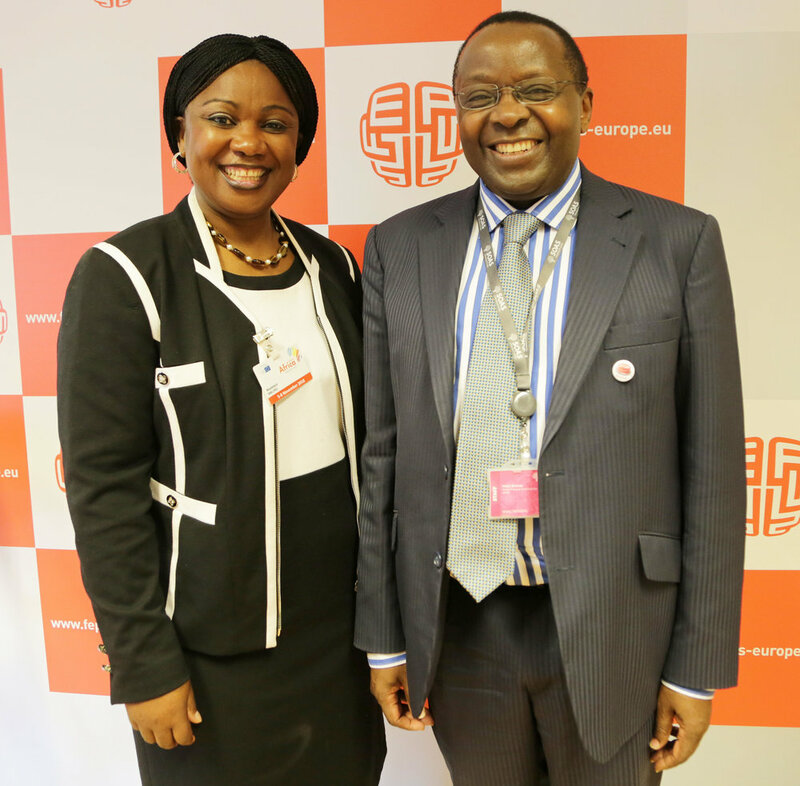 ‘Innovative financial products are critical for the future of the financial services industry.’ said Professor Murinde. Here are the five ‘take-away’ points: ‘Saving for financing investment is critical for economic growth; investment analysts and financial analysts here at ICIFA play an important role in reducing opacity in investments decisions; flow of funds framework is an effective tool for identifying where to invest and what to invest; strategies for promoting domestic investment should not be limited to stimulating domestic savings but must also address the non-financial obstacles; fintech is the way forward to provide innovative finance solutions for SMEs and start-ups (entrepreneurship) well beyond the first three years of life – the notorious ‘Valley of Death’, concluded Professor Murinde. An extraordinary research workshop was held at Loughborough University on Friday 25th January 2019, jointly convened by the Centre for Global Finance (CGF) at SOAS and the School of Business and Economics at Loughborough University. CGF is delighted to share information about a new book: “Paths for Sustainable Economic Development: Festschrift for Shubhashis Gangopadhyay”, edited by Robert Lensink, Stefan Sjogren and Clas Wihlborg. This is a path-breaking book that addresses important aspects of sustainable economic development, with contributions from 40 leading scholars in the areas of finance, economics, law and development. CGF is delighted to introduce a new book "Foreign Direct Investment and Economic Development in Africa", by Issouf Soumaré, Gaston Gohou, Hugues Kouadio, Janvier D. Nkurunziza. SOAS Centre for Global Finance (CGF), partnered with the Central Bank of Kenya (CBK), to jointly deliver the 2018 Banking Symposium on Friday, the 7th of December 2018, at the Kenya School of Monetary Studies, in Nairobi, Kenya. The theme of the Symposium was “Pan-African Banks on the Rise”. The event was attended by the Governor of the CBK (Dr Patrick Njoroge), the Deputy Governor of the CBK (Mrs Sheila M’Mbijjewe), and key stakeholders who have important roles to play in shaping developments in the financial system, industry and commerce, in Kenya, in the context of the rise of Pan-African banks. These stakeholders included bank managers, banking sector regulators, private sector practitioners and researchers. 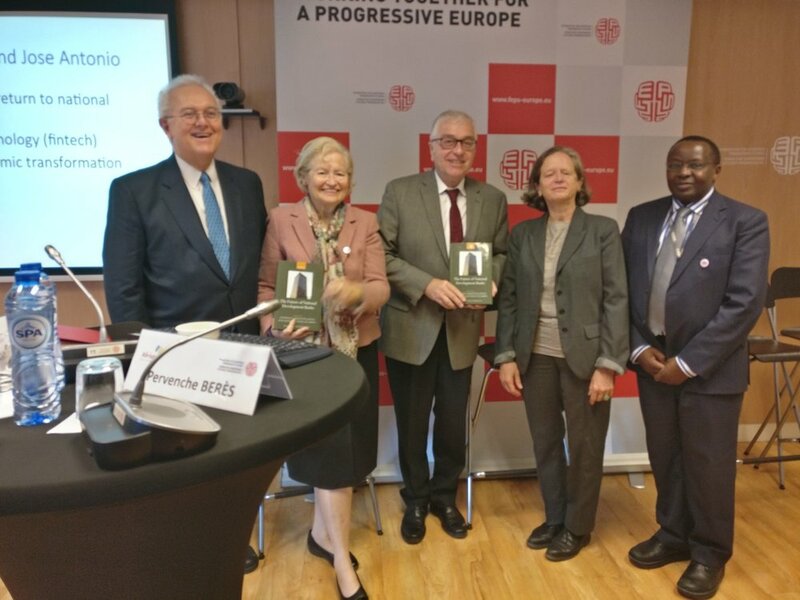 AXA Chair in Global Finance - Prof Victor Murinde was invited as a guest speaker at the Foundation for European Progressive Studies (FEPS) book launch in Brussels on 6th November 2018. The event featured a recent publication of a study on The Future of National Development Banks, presented by Prof Stephany Griffith-Jones and Prof José Antonio Ocampo. This study provides both research and policy-oriented perspectives on how national development banks can make a significant contribution to countries' development, and analyses their roles within broader economic policy, their governance, and the main instruments they use to perform their function. Prof Murinde shared his opinions on the key findings of the study and discussed implications for African and other economies. “The new book, The Future of National Development Banks, published by Oxford University Press 2018, by Stephany Griffith-Jones and José Antonio Ocampo (Editors), is a game changer! "The book provides an in-depth study of national development banks in Brazil, Chile, China, Colombia, Germany, Mexico, and Peru. "This new books offers important lessons, on governance and product innovation, for national development banks in Africa", said, Professor Victor Murinde, AXA Chair in Global Finance and Director of the Centre for Global Finance, SOAS University of London. © SOAS University of London 2018. All rights reserved.